Here's Perry Mason (Raymond Burr) during a visit to Seattle for the 1962 Seafair festival. Hidden behind Burr is Washington's Lt. 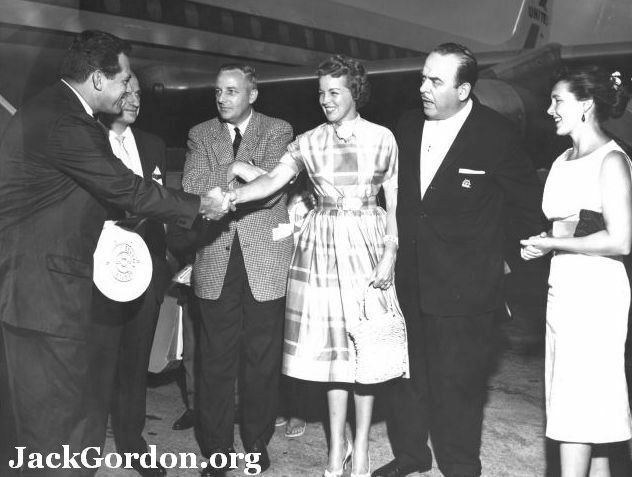 Governor John Cherberg, then (l to r) are Bob Cour (Seattle Post-Intelligencer reporter), Marcia Rosellini shaking hands with Burr, an apparently irritated Victor Rosellini, and a beautiful Roberta Gordon.